More than 50 contributors share their oval dreams in reflections ranging from witty and affectionate reminiscences and expressions of hope for the future, to statements of deep alienation and betrayal. Featured writers include Don Watson, Paul Kelly, Geoffrey Blainey, Gerald Murnane, Paul Daffey, John Harms, Emma Quayle, Barry Oakley, Peter Corris, Manfred Jurgensen, Kate Eltham, Vin Maskell, Peter Schwab and many more. A revised and updated edition of The Greatest Game–first published in 1988–the book retains a selection of the most poignant writings from the original version, including those by historian Manning Clark, playwright David Williamson and broadcaster Andrea Stretton. Each year millions of Australians attend or watch the footy–they argue about it, revel in it, despair of it, or even make vain attempts to ignore it. While newspapers keep us informed of the scores or who’s been dropped or traded, Australia’s Game explores the deeper contribution that football has on our culture and society. From the dramatic moments on footy’s centre stage, to the battles played out on dusty outback ovals, Australia’s Game contains something for everyone. In my childâ€™s mind, Dad was famous. I can still see a caricature of him from the newspapers when he captained Sandringham in the Victorian Football Association â€“ all knee bandages and broken-boned â€“ which we kept pinned on the toilet door. Placing it there strikes me now as most unfair. It was from hearing the footy and cricket commentators on the radio with Dad that I became aware of the magic of words and the intricacies and tricks of language. â€œEat â€˜em alive!â€ â€˜Captain Bloodâ€™ Jack Dyer would scream. â€œThey say youâ€™re a star, son. You wonâ€™t be shining today.â€ Alan McGilvray and Johnny Moyes could make a dull and boring cricket match sound like a breathless Resurrection. There was always so much going on â€“ googlies and bumpers and new balls and no balls and little boys with dogs darting on to the field. Every Christmas Day, my birthday, Dad would recount how, in the 1938 grand final, Carltonâ€™s Bob Chitty, our garbo who lived nearby in East Brighton, bit the balls of Collingwoodâ€™s star full forward Ron Todd as he flew to take a mark. It was, Dad said, called â€œsquirrel munchingâ€. Apocryphal or not, the story was the highlight of my day. Apart from Norman Vincent Pealeâ€™s The Power of Positive Thinking, which lay on his mantelpiece, as far as I know Dad never read a book, but he did devour comics and The Sporting Globe. His own father having been an alcoholic, Dad neither drank nor smoked. When I went to Monash University I tried to be his opposite, repudiating much of what he offered me. As a footballer, I wasnâ€™t much good. I didnâ€™t make the First 18 at Melbourne High School, always played for the seconds. At Monash, although I did well at cricket, at football I again played for the seconds. I did manage once to kick three goals in a quarter: one from an impossible angle, one from the centre when a gust of wind seemed to blow the ball interminably, and the other I dribbled through. I never kicked any more for the match. However, fuelled by rum and amphetamines, I was a â€œmost courageous playerâ€: 90kg and fearless, I rucked for four quarters and would have run through an army tank. Immediately after the second grand final, on October 1, 1977, when Collingwood lost by 27 points, I sat speechless in front of the TV, half-believing there would be an announcement saying: â€œThereâ€™s been a dreadful mistake.â€ It was soon after that terrible defeat, or perhaps in 1980 when his old club Richmond pulverised Collingwood by 81 points, that a TV interviewer asked Hafey: â€œWhat do you find funny about football, Tommy?â€ Tommy answered: â€œI donâ€™t find anything funny about football.â€ I understand exactly what he meant. Such defeats gut me, utterly. Ross Fitzgerald and Ken Spillmanâ€™s â€˜Australiaâ€™s Game: Stories, Essays, Verse & Drama Inspired by the Australian Game of Footballâ€™ is published by Slattery Media on Monday. On Tuesday August 6, from 6 to 7pm, there will be a function at Gerard Henderson’s The Sydney Institute (41 Phillip Street, Sydney) celebrating our book AUSTRALIAâ€™S GAME â€“ with Peter Corris, Barry Oakley and Ross Fitzgerald speaking. Five Almanackers are among the 50 contributors to ‘Australiaâ€™s Game’, a new book just published by Slattery Media. The book is an updated version of the 1988 book ‘The Greatest Game’, edited by Ross Fitzgerald and Ken Spillman. Twenty-five years on the selfsame editors have retained many of the original pieces (by Manning Clark, David Williamson, Ramona Koval, Andrea Stretton, Bruce Dawe and others), as well as bringing on fresh players. John Harmsâ€™ contribution is â€˜Epiphany at the MCGâ€™, his 2007 Grand Final piece in the inaugural ‘Footy Almanac’: It is Grand Final morning. I am walking through the Fitzroy Gardens. Past the river god fountain up to my left. Past the cenotaph. I look up at the majestic trees. Iâ€™m trying to understand my state. My thoughts. My emotions. My smallness. Paul Daffeyâ€™s story â€˜Home and Awayâ€™ is an edited extract from his 2003 book ‘Beyond The Big Sticks’. Daffey takes the reader from one oval to another â€“ Swifts Creek, Tanunda, Port Douglas, Rosebery, Queenstown, Maldon, among others â€“ crisply pointing out their histories and idiosyncrasies. The Allansford Memorial Pavilion was once a church or hall in Orford, a small town north of Port Fairy. The building was hauled through Warrnambool and across to Allansford by horse and cart, then placed on top of a shed, where it served as a grandstand. â€˜Poachers, Gamekeepers and Coachesâ€™, by Stephen Alomes, is a revised version of an essay first published in 2010 in the ‘Bulletin of Sport and Culture’. 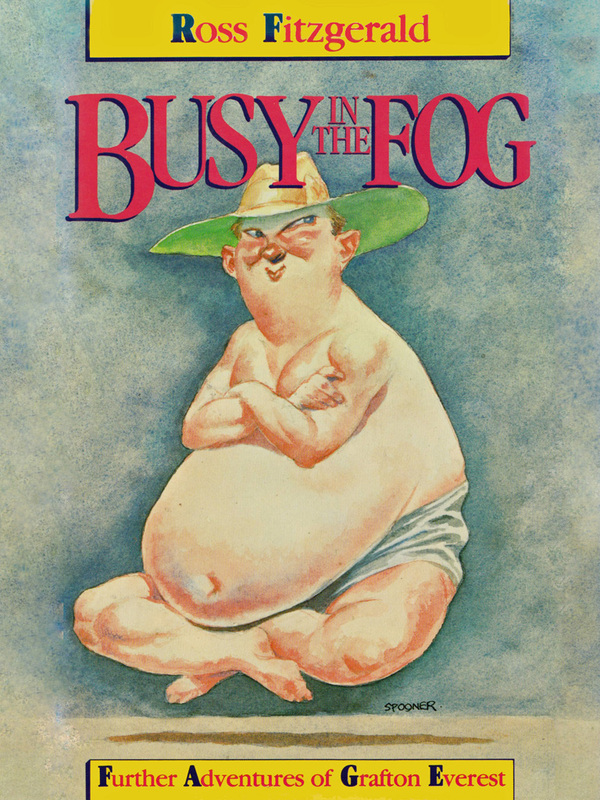 (Another version was then published on ‘The Footy Almanac’ website in November 2010.). Alomes analyses the changes to football over the past 40 years. While Ross Lyon and Mick Malthouse have creative as well as defensive moments, simple people like me, and most footy followers, see something different. They see the result as what I call â€˜stoppageballâ€™ or â€˜tackleballâ€™, or just a damn scrambly mess. Whatever it is, except on muddy days and in desperate last quarters, it does not seem like footy. In â€˜The Sherrinâ€™, a new piece by Vin Maskell, Vin sits on his backstep and polishes his hand-made football. There are cracks and scratches and scars on the ball, lines that are like veins and roads and creeks, lines that are tributaries to memories, lines that are maps of stories. Stories of childhood and adulthood, of generations, of grass and grounds, of kicks and kinship. An extract from Barry Dickinsâ€™ 1987 play ‘Royboys’ closes ‘Australiaâ€™s Game’. He notes that although ‘Royboys ‘is about the fate of the Fitzroy Football Club, it is also about the fate of Australia, which, if it were a club, would be out of the finals forever. Other contributors to ‘Australiaâ€™s Game’ include Almanac favourites – journalist Martin Flanagan, poet Philip Hodgins and songsmith Paul Kelly (who writes about a rare Robbie Flower error). GERARD Henderson of Sydney Institute fame has a secret life – as an Essendon tragic. This other side of the good doctor will be on display tonight when he hosts Barry Oakley, Peter Corris and Ross Fitzgerald tonight to talk about football as art and culture and the book Australia’s Game, edited by the prolific Ross and Ken Spillman. No doubt Henderson haters will be murmuring into their lattes that backing Essendon is almost as bad as barracking for Collingwood. Christian Kerr, STREWTH, The Australian, July 9. 2013. p 9. A NUMBER of prominent Australians write passionately about their love of Australian Rules in a new book edited by historian and novelist Ross Fitzgerald and Perth writer Ken Spillman. ‘Australia’s Game’ (Slattery Media, $34.95) carries whimsical tales and verse by 50 writers including Don Watson, Paul Kelly, Peter Corris and Ramona Koval. Fitz reveals himself as Magpie tragic. It is his 36th book. Ross Fitzgerald was born in Melbourne on Christmas Day, 1944. Emeritus Professor in History and Politics at Griffith University, he is well known as a historian, biographer and social and political commentator. He and Ken Spillman have recently re-edited the book that was first known as the â€œGreatest Gameâ€ which was released in 1988. The updated version features 50 contributors from all walks of Australian life and provides a unique insight into Australia’s unique game. Jodie Newell spoke recently with Ross about the book and the stories contained in it. You purchase the book at the Slattery Media website. Ross Fitzgerald has provided a promo code for a 30% discount on the hard copy edition. Enter the code : AustraliasGame during the checkout process. There will, no doubt, be more Australian football publications before the season is over, but few will have the depth of writing talent that this one has. This is a revamped edition of ‘The Greatest Game’ (1988), and many of its contributions are part of that publication, but many more, such as Peter Corris’ account of how he became an Essendon supporter while living in Footscray, now take in the AFL era. In a standout collection, memoirs such as the late Laurie Clancy’s about his coaching days, and his brother Jack’s account of his one-game VFL career – spent on the bench watching – stand out. Geoffrey Blainey’s retrieval of the football of his youth reminds us he is an historian with a novelist’s turn of phrase, and Fay Zwicky’s postmodern take on the game is perfectly judged. Other contributor’s include Don Watson, Paul Kelly, Emma Quayle, Ramona Koval and many more. Go, Bombers! Play on and be damned! Five Almanackers are amongst the 50 contributors to ‘Australiaâ€™s Game’, a new book just published by Slattery Media. John Harmsâ€™ contribution is â€˜Epiphany at the MCGâ€™, his 2007 Grand Final piece in the inaugural Footy Almanac: It is Grand Final morning. I am walking through the Fitzroy Gardens. Past the river god fountain up to my left. Past the cenotaph. I look up at the majestic trees. Iâ€™m trying to understand my state. My thoughts. My emotions. My smallness. Paul Daffeyâ€™s story â€˜Home and Awayâ€™ is an edited extract from his 2003 book Beyond The Big Sticks. Daffey takes the reader from one oval to another â€“ Swifts Creek, Tanunda, Port Douglas, Rosebery, Queenstown, Maldon, among others â€“ crisply pointing out their histories and idiosyncrasies. The Allansford Memorial Pavilion was once a church or hall in Orford, a small town north of Port Fairy. The building was hauled through Warrnambool and across to Allansford by horse and cart, then placed on top of a shed, where it served as a grandstand. â€˜Poachers, Gamekeepers and Coachesâ€™, by Stephen Alome, is a revised version of an essay first published in 2010 in the Bulletin of Sport and Culture. (Another version was then published on The Footy Almanac website in November 2010.). Alomes analyses the changes to football over the past 40 years. While Ross Lyon and Mick Malthouse have creative as well as defensive moments, simple people like me, and most footy followers, see something different. They see the result as what I call â€˜stoppageballâ€™ or â€˜tackleballâ€™, or just a damn scrambly mess. Whatever it is, except on muddy days and in desperate last quarters, it does not seem like footy. An extract from Barry Dickinsâ€™ 1987 play Royboys closes Australiaâ€™s Game. He notes Although Royboys is about the fate of the Fitzroy Football Club, it is also about the fate of Australia, which, if it were a club, would be out of the finals forever. 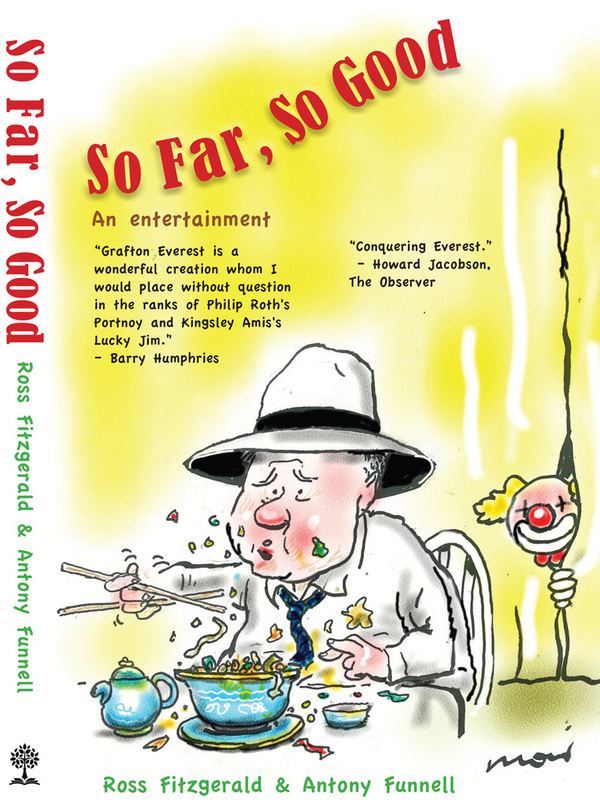 Other contributors to Australiaâ€™s Game include Almanac favourites journalist Martin Flanagan, poet Philip Hodgins and songsmith Paul Kelly (who writes about a rare Robbie Flower error). IN the immediate aftermath of the Sydney Swans triumphing in an epic AFL grand final last year, pundits and punters alike asked if it was the best decider in the 115-year history of â€œour gameâ€. Certainly, this far from fanatical Aussie rules follower, like many others, was transfixed by the late unfolding drama that day. And with Sydney taking out the premiership by 10 points over Hawthorn, the emerald city was awash with red-and-white-clad supporters celebrating a memorable season, along with not a few out-of-the-woodwork hangers-on who will climb aboard the bandwagon at the least smell of success. With this yearâ€™s finals season starting this weekend, itâ€™s timely to consider the two anthologies under review, which with essays, articles, verse and excerpts from stage drama shine a light on the game, one that is in the main far removed from big-picture occasions such as that MCG classic. In â€˜Australiaâ€™s Gameâ€™, editors Ross Fitzgerald and Ken Spillman revisit many of the articles they published in the oft-reprinted â€˜The Greatest Gameâ€™ in the late 1980s, with its manifesto to â€œcelebrate Aussie rules as a form of art through our nationâ€™s greatest exponents of literatureâ€. Contributors include historian Manning Clark, playwright David Williamson, poet Bruce Dawe, crime writer Peter Corris and songwriter Paul Kelly. This is sportswriting at its finest, shorn of the cliches so prevalent in the genre and articulating in some style the game as a microcosm of lifeâ€™s bigger issues. Needless to say, the authors are unashamedly passionate about their sporting first love, and their obvious enthusiasm had me wanting to handball with a mate on a big paddock, just for the sheer joy of it. This is a volume you can dip into at random, perhaps during the half-time break, for gems such as broadcaster and sometime clergyman Terry Laneâ€™s hilarious story about his theological college principal, who every Wednesday afternoon changed from â€œgentle Christian pacifistâ€ to â€œa fascist, a tyrant. The Franco of the football field. Genghis Khan. Hitler. Ivan The Terribleâ€ and so on. In Dropping the Ball: The Original Sin, Lane asserts football is the metaphor for life: cruel, humiliating and savage. You just get the feeling, though, despite those unedifying insights, that he loves it. In Sic Transit Gloria Mundi (Thus passes the glory of the world), Melbourne Demons fan Paul Kelly (never to be confused with the former Swans captain of the same name) takes a single moment from a match at the MCG and turns it into a heart-rending eulogy for ageing stars who can never regain their heights. After uncharacteristically hesitating with a clear goal in front of him, Robbie Flowerâ€™s golden chance goes begging as he is tackled. an other-worldly sensation, like watching rain fall upwards. Flower, aged 30, picked himself up. He dusted himself down and trotted nonchalantly back to his position. The sudden rent on reality closed over as quickly as it had appeared. The fabric of the afternoon remained unchanged â€¦ But somewhere, up in the stands, a man thought of time and age and death and diminishment while, on the fence, two young boys in red and blue scarves and beanies were cheering younger, fresher-faced heroes. In The Sherrin, Vin Maskell traces the evolution of the ball itself and his relationship with old and new versions. Journalist Bill Cannon teeters on the edge of a fully fledged football career in The One-Gamer. And a scene from David Williamsonâ€™s play, The Club, shows that sometimes the tactical strategies on the field are nothing amid the political and business machinations of the boardroom. â€˜Footy Townâ€™, edited by Paul Daffey and John Harms, is a varied collection of insights into Aussie rules at the grassroots, and if some of the literary aspects are a touch blander at times, that does not detract from the obvious passion for the game of the 48 writers represented here. As the editors note, the authorsâ€™ love of storytelling is â€œlike having three first XVIIIs for the Campfire Yarns Football Leagueâ€. Indeed, many of these yarns are endearing and fascinating, presenting up-close-and-personal views of the game at its purest. David Enticottâ€™s A Season with Stripper is one of several stories that combine humour with a tender poignancy for the vicissitudes of our involvement in the game. Enticott, a Baptist minister, gets little sympathy from his footy coach, Stripper, when his church services overlap kick-off time. â€œCanâ€™t you get mass to go faster?â€ says Stripper. â€œYouâ€™re the priest, leave out a couple of prayers. No one will ever know.â€ Enticott also fears he may have trouble explaining to his wife the Stripper listing among his phone contacts. In Sydney Confidential, Ian Granland recounts his appointment as chief executive of the NSW AFL days before the organisation was threatened by bankruptcy, and his efforts to turn around the leagueâ€™s fortunes. He realised some â€œtraditionsâ€ had to change, such as fans gaining free admission to finals matches by sliding through a broken fence. Granland fixes the fence, to the chagrin of one official, who throws a punch at him. Footy Town is a meaty collection of heartfelt, funny and inspiring stories that portrays the game and its characters, not only the players, with affection. 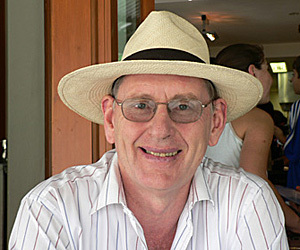 Gary Smith is a Sydney-based writer. ‘Australia’s Game’ is a revised and updated edition of observations and musings on our indigenous game, first published in 1988. Pieces by new recruits, such as John Harms, Peter Helliar, Paul Daffey, Paul Kelly and Peter Schwab, rub shoulders with offerings by grizzled veterans such as David Williamson, Manning Clark, Frank Hardy and Gerald Murnane. The fresh voices add a contemporary slant on a game that is evolving constantly. Excerpts from classics such as Barry Oakley’s ‘A Salute to the Great McCarthy’ and Alan Hopgood’s ‘And The Big Men Fly’ sit comfortably alongside Schwab’s ‘Inside the Bubble’, an account of his ill-fated coaching stint at Hawthorn from 2000-2004. The pieces encapsulate the essence of the game and of life itself. There’s passion, humour, insight, agony, hope, redemption, longing and triumph in a fabulous collection of reflections. ‘The Courier-Mail’, Saturday September 14, 2013, LIFE p 20 and ‘The Daily Telegraph’,BEST WEEKEND’, September 21-27, 2013 p. 14. THE AFL semi-finals are raging and the Swans are still alive. For Redfern author Ross Fitzgerald, the timing could not be better for the release of his 36th book – ‘Australia’s Game: Stories, Essays, Verse & Drama Inspired by the Australian Game of Football’. Whether it is sitting among like-minded fans in the pub, cheering for your team at a game or with a few mates at home in front of the TV, there is no doubting most Australians love their footy. It’s that power, passion and spirit of the game that Prof Fitzgerald has tried to capture. ‘Australia’s Game’ contains the writings of more than 50 contributors who took the time to share their feelings about the sport. The Redfern author said it was not difficult finding eager participants willing to share their passion for Australia Rules football. “So far, the book has been really well received,” he said. “I decided there would be one contribution from each writer which wasn’t an issue because there are so many men and women passionate about Australian football. James Gorman, ‘Central Magazine’, Sydney, September 18, 2013, p 7.
Review of ROSS FITZGERALD and KEN SPILLMAN (eds) Australiaâ€™s Game: Stories, Essays, Verse & Drama Inspired by the Australian Game of Football. Footy â€“ for spectators and participants â€“ has the power to connect and the power to crush. Thereâ€™s much to love in this book. I canâ€™t remember this before, this feeling of connection to my father about something weâ€™re both excited over. I used to tell him about writing and music and doing well at school, and he was always encouraging, always proud. But this isnâ€™t those things. This is something shared. Why do I feel I donâ€™t deserve this? Why have the gods chosen the people of Carlton and Hawthorn and Essendon? Why does the world belong to them? He decides it is about being a part of something, convinced that â€˜profound relationships are born of shared sufferingâ€™. From the spectator to the participant, we move to â€˜Draft Destiniesâ€™, Emma Quayleâ€™s take on what it feels like to be a young player waiting for his chance to play AFL. Through the experiences of Trent Cotchin and Cyril Rioli, we share the waiting and the sweating, the family expectation, and the fear. The relief of not being overlooked is palpable, reminding us of just how much is at stake for these young men. Frankly, this blokey, dated attitude, albeit a more benign version, pervades the collection, inevitably perhaps given how old many of the pieces are. This is intended as an updated version of ‘The Greatest Game’ (1988), and yet the period covered is heavily weighted in the distant past. Footy is, after all, a game of numbers, and when you consider that, of the 52 contributions overall, only 14 were written this century, and only seven by women, Strettonâ€™s interrogation of the pervasive white-skinned blokiness is distinctly undermined. Apart from an extracted article on Polly Farmer and Quayleâ€™s contribution on Cyril Rioli, there is almost nothing written about Indigenous football. When you think about the number of contemporary Indigenous players and stories to choose from, as well as the rising tide of women in football and sport filling our newspapers and airwaves, itâ€™s disappointing that the numbers are so one-sided. Adding to this, there seems to be much lamenting of â€˜the end of football as we know itâ€™, pre-1989, and little or no reflection on what has happened since the shift from the VFL and â€˜Australian Rulesâ€™ to Australian football and the AFL. As a consequence, even the language feels dated. A better option would have been to include some of the more iconic pieces, but adding retrospective or updated reflections rather than simply reproducing so many contributions from the bookâ€™s earlier incarnation (or publications from that same era). It would have been great to hear if the writersâ€™ views (those still living) had changed, or if, as they warned, they have disengaged completely from our great game. This is not to say that the historical contributions arenâ€™t engaging or valuable. Most were thoroughly enjoyable and rich with nostalgia and history. However, many laboured under the â€˜the good old daysâ€™ laments, glorifying even the inglorious, effectively dismissing even the superior qualities of todayâ€™s game without any chance for reflection. Where is the consideration of girls and women in footy today â€“ as players and decision makers? The spread of AFL to traditional rugby states? And what of the rising tide of Indigenous players, no longer the novelty but, in some clubs â€“ my beloved Hawks included â€“ forming the backbone of some of the more successful teams? Perhaps this will be the focus of upcoming titles and, if so, I look forward to the next edition. But as it is, ‘Australiaâ€™s Game’ feels like a missed opportunity. Nicole Hayes is the author of The Whole of My World, a novel set in 1980s Melbourne about a teenage girl obsessed with footy. She teaches Creative Writing at University of Melbourne and Phoenix Park Neighbourhood House, and tweets at @nichmelbourne. A new book of fine writings about Aussie Rules football, AUSTRALIA’S GAME, published by Slattery Media, Melbourne has just been released. In Australia, nothing excites such passion as the tribal loyalties generated by Australian Rules football. ‘Australiaâ€™s Game’ is a collection of essays and writings capturing the agony and the ecstasy of our great game from some of Australiaâ€™s best storytellers. More than 50 contributors share their oval dreams in reflections ranging from witty and affectionate reminiscences and expressions of hope for the future, to statements of deep alienation and betrayal. Featured writers include Don Watson, Paul Kelly, Geoffrey Blainey, Gerald Murnane, Paul Daffey, John Harms, Emma Quayle, Barry Oakley, Peter Corris, Manfred Jurgensen, Kate Eltham, Vin Maskell, Peter Schwab and many more. A revised and updated edition of ‘The Greatest Game’ â€” first published in 1988 â€”the book retains a selection of the most poignant writings from the original version, including those by historian Manning Clark, playwright David Williamson and broadcaster Andrea Stretton. Each year millions of Australians attend or watch the footy â€”they argue about it, revel in it, despair of it, or even make vain attempts to ignore it. While newspapers keep us informed of the scores or whoâ€™s been dropped or traded, Australiaâ€™s Game explores the deeper contribution that football has on our culture and society. From the dramatic moments on footyâ€™s centre stage, to the battles played out on dusty outback ovals, ‘Australiaâ€™s Game’ contains something for everyone. Ross Fitzgerald was born in Melbourne and is a historian, political theorist and novelist. He writes regularly for The Weekend Australian, The Canberra Times and The Sydney Morning Herald, and regularly appears on radio and television. 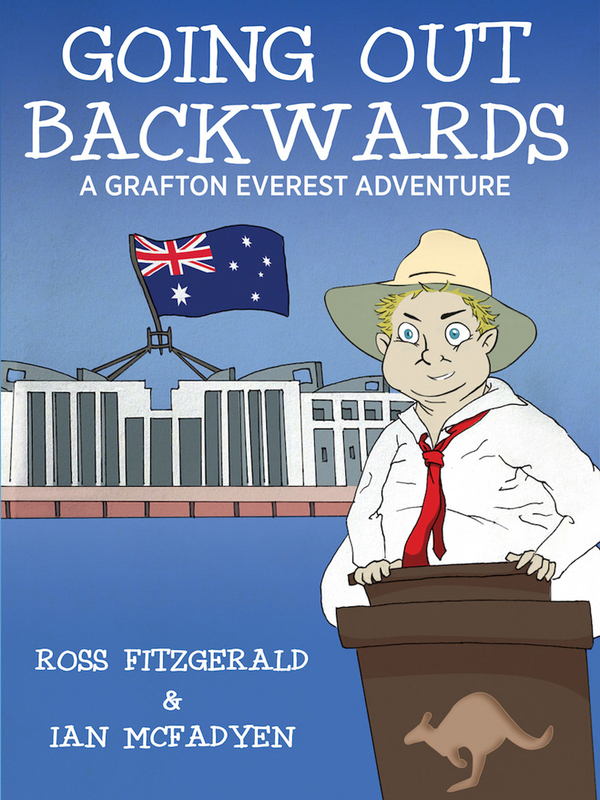 Ross Fitzgerald has written 35 books and is a lifelong Magpies tragic. 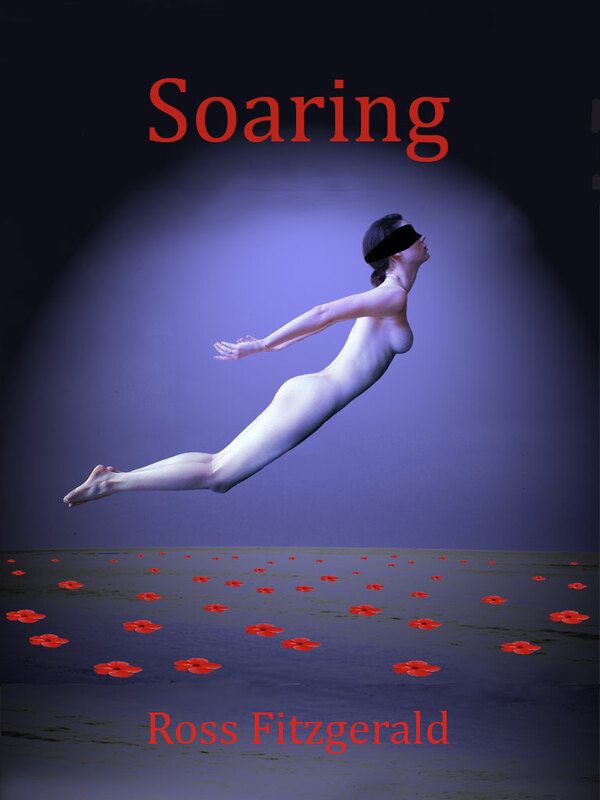 Ken Spillman lives in Perth and has written across history, fiction, poetry and reviews. His earliest football inspiration was the sight of the legendary Graham â€˜Pollyâ€™ Farmer hovering above a pack; he has regarded football as art ever since. 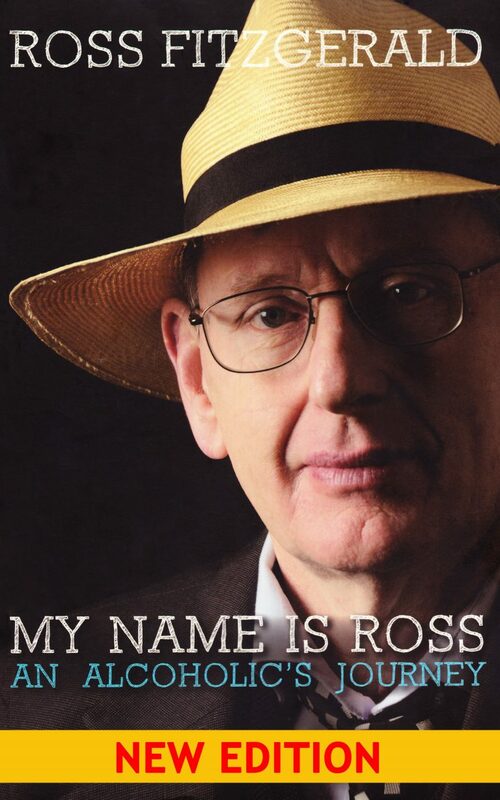 Ross Fitzgerald memoir ‘MY NAME IS ROSS: AN ALCOHOLIC’S JOURNEY’ (New South Books: Sydney) is now available as an E-book.